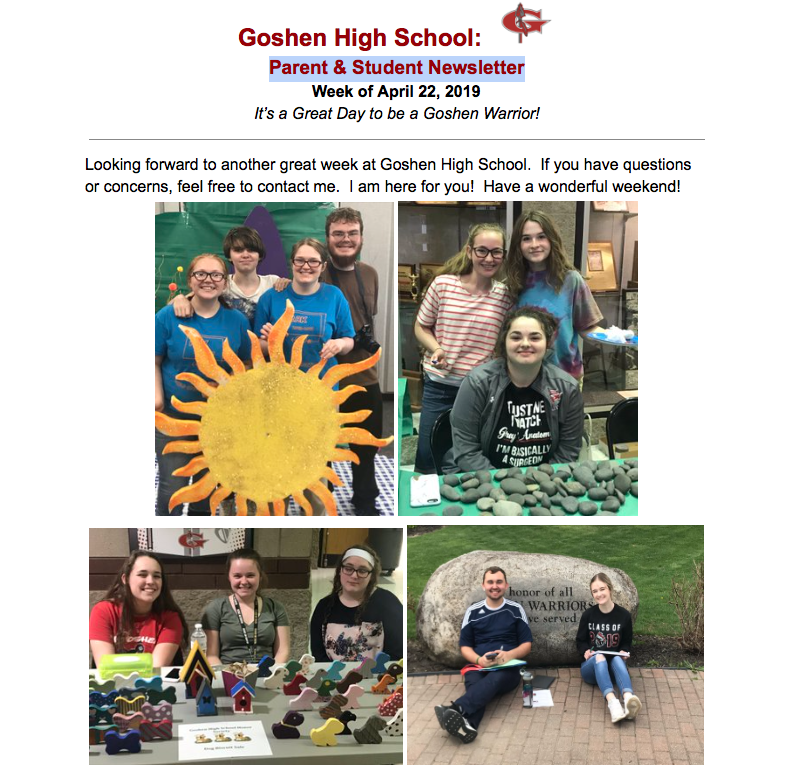 Goshen High School Parent & Student Newsletter! 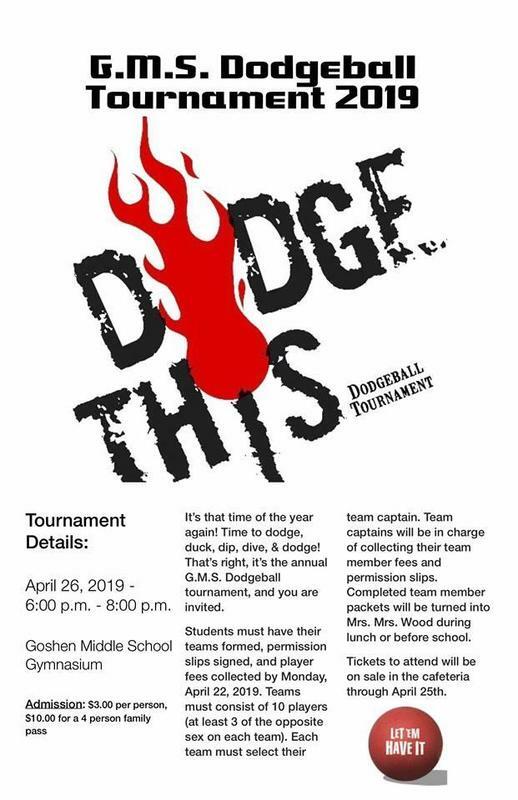 Join us for a fun-filled family night with our community, the 2019 GMS Dodgeball Tournament - Friday, April 26th from 6-8 pm! 7th graders Washington DC Trip Reminder - Deposit Due Friday! 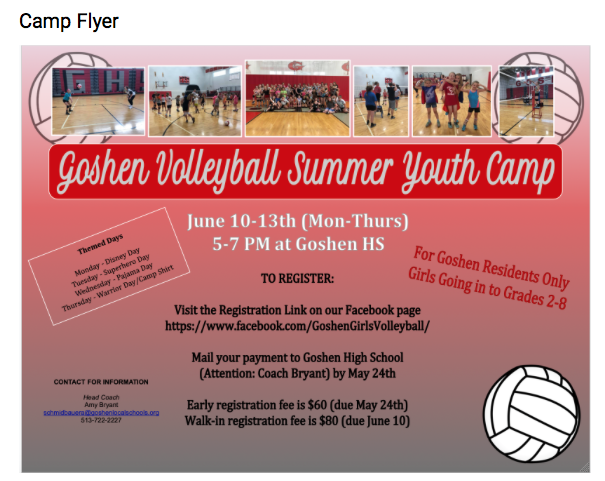 Time to register for Youth Volleyball Camp! Youth Volleyball Camp June 10-13 Time to register for Youth Volleyball Camp. Please complete the information below and submit. Reminder that payments are due for early registration ($60) no later than May 24th. Walk-ins are welcome on June 10th for $80. All campers will receive a free camp shirt. Photos of our Goshen High School Students! 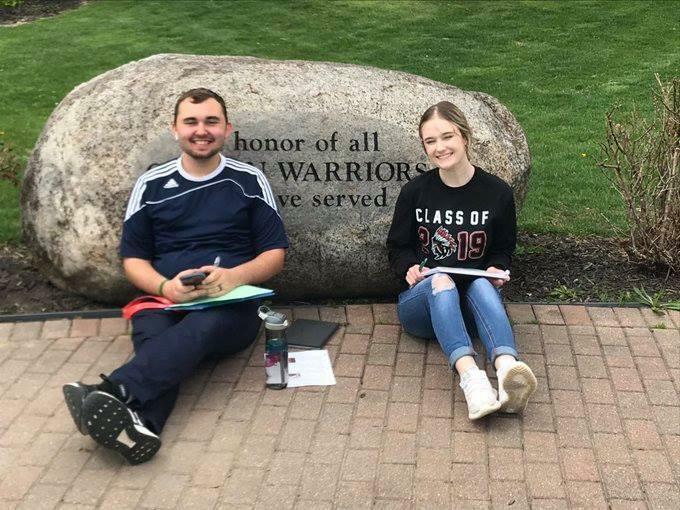 Love sharing photos of our Goshen High School students having fun, learning and making memories. Simply the best students around! Go Warriors!